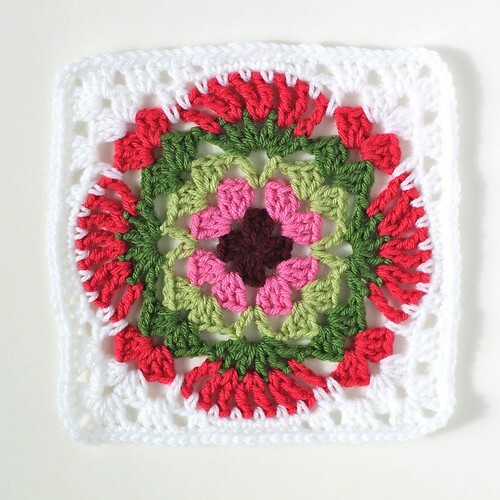 You really should go check out Sany's Lacy Granny Squares. She's made several different color variations. It's so cool that one pattern can create so many different looks! Can't wait to see the one with diagonal color change.. I can see why you're quite taken with that colour combo! 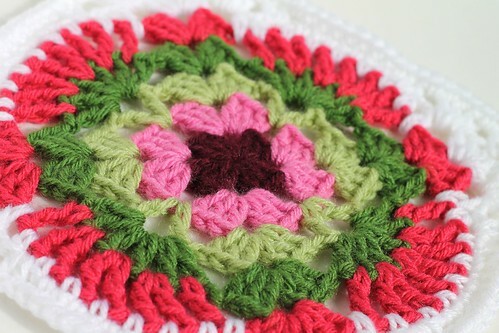 It's beautiful - and the colours are making me think of spring! This is gorgeous, Kate! I love the fresh colours and the white makes the others pop! 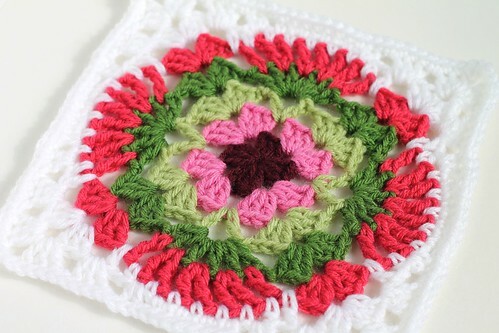 Yes, very mandala-like!